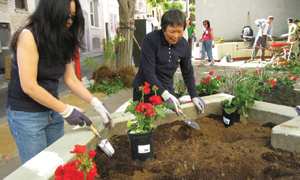 The San Francisco Parks Alliance (SFPA) provides fiscal sponsorship to community groups whose missions align with SFPA’s own values. As a fiscal sponsor, SFPA enables community groups to seek grants and solicit tax-deductible donations under our 501(c)(3) tax-exempt status. Since most grant-makers fund organizations, but not individuals, fiscal sponsorship helps groups raise money without having to go through the complicated process of starting their own nonprofit. SFPA staff also assist with project management, fundraising consultation, marketing, grant review, and insurance needs as appropriate. SFPA staff will work with new groups to determine if fiscal sponsorship is needed and if SFPA and the group are a good fit. There is an application process and once approval is granted, the group enters into a legal contract with SFPA. An administrative fee is charged to help cover the cost of staff time and overhead. SFPA currently fiscally sponsors over one hundred park partners. 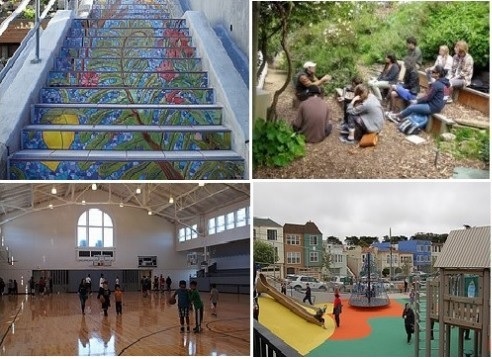 Our Park Partners are a diverse group ranging in focus from community engagement, to gardens and urban agriculture, to capital renovation projects, to ongoing programs and events. While we have established best practices for the program, we seek to meet the needs of each individual group. For a list of current SFPA Park Partners, please visit our Park Partner Index. -Providing access to SFPA’s office for group meetings.